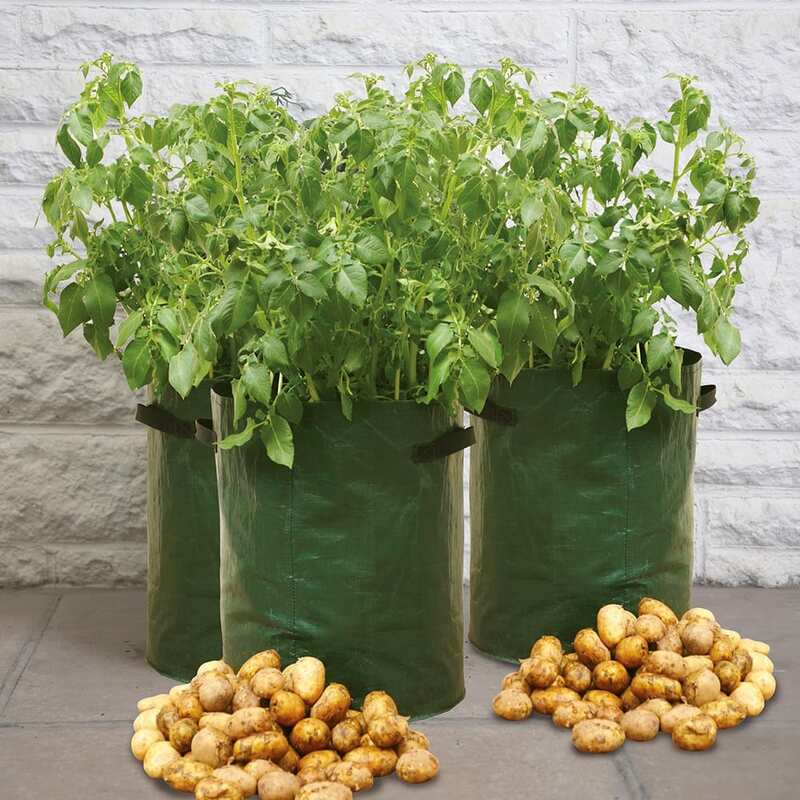 Potato Patio Planters are designed specifically for use on patios and balconies, or in small gardens. 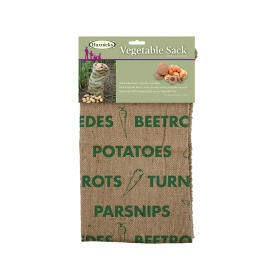 Easy to use, reusable, each holds about 40lts of compost and is suitable for 3 to 5 seed potatoes. 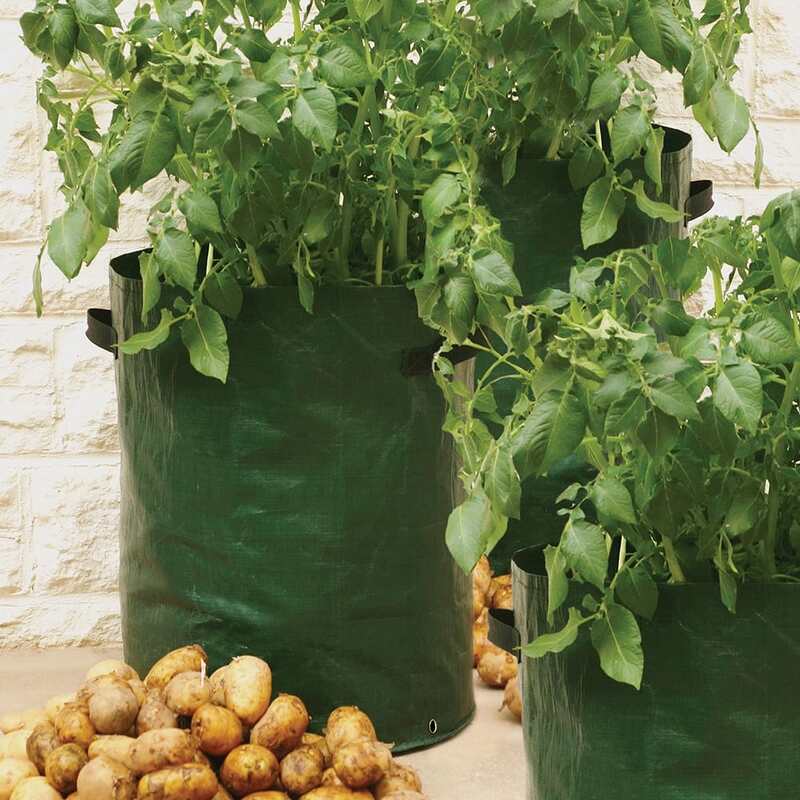 Now anybody can grow delicious home-grown potatoes, whether or not they have a garden. No digging required! 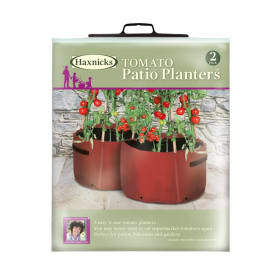 Made from a tough, coloured polyethylene with reinforced drainage holes at the base, handles on each side. Comes with a helpful growing guide. 3 in a Pack. Helpful Haxnicks hint : plant in 2-4 week intervals to spread your harvest. Seed potatoes are on sale from January and throughout the spring and autumn. 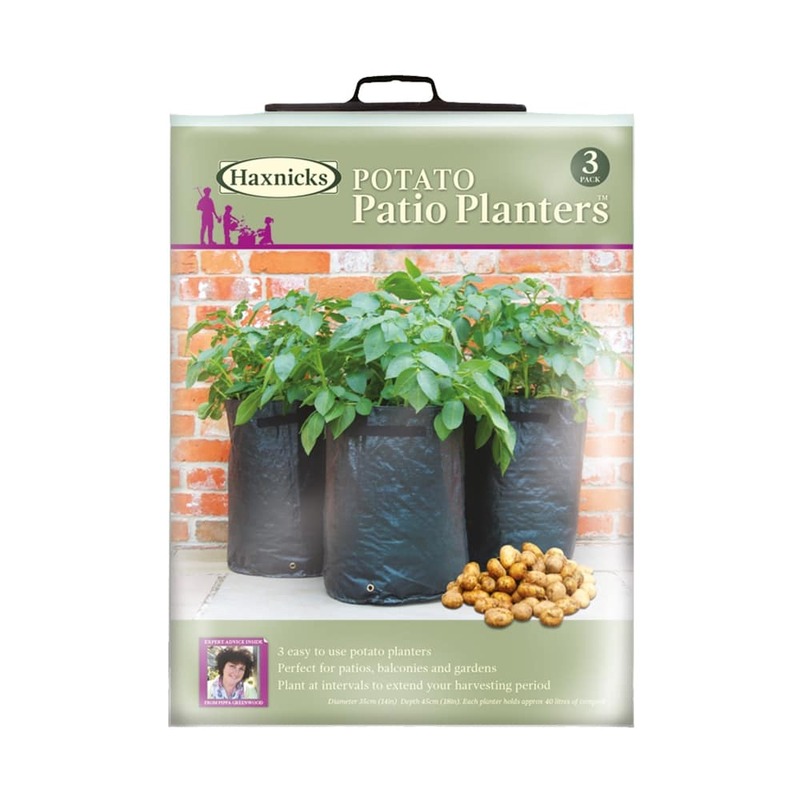 Each Patio Planter is suitable for between 3 to 5 seed potatoes. By planting each Planter at 4 to 6 week intervals, you will be able to harvest over a longer period. 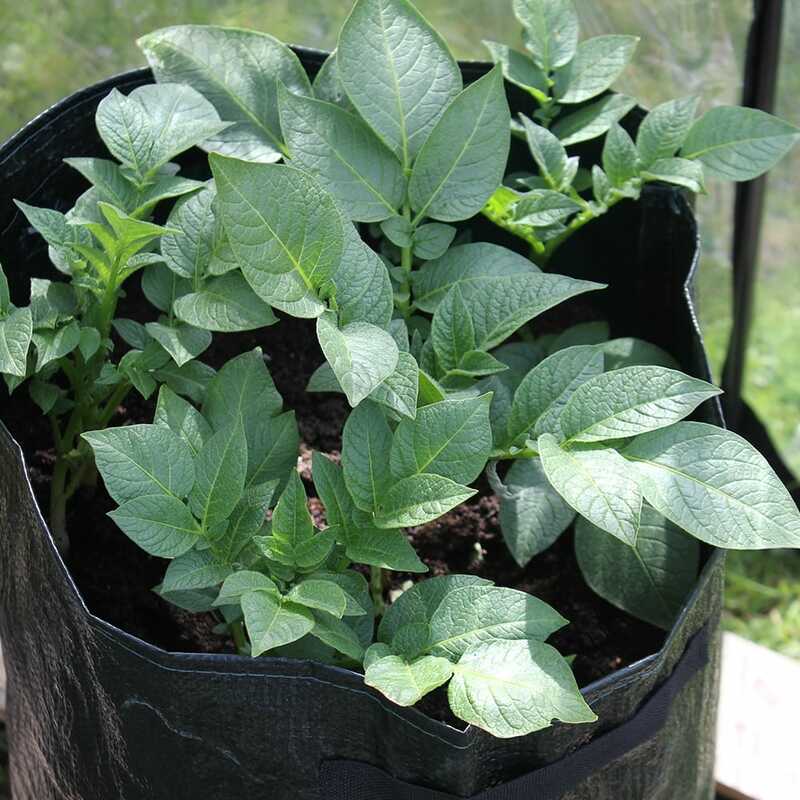 Place your seed potatoes in a cool light place and leave for a few weeks until shoots grow approximately 2.5cm (1in) long. 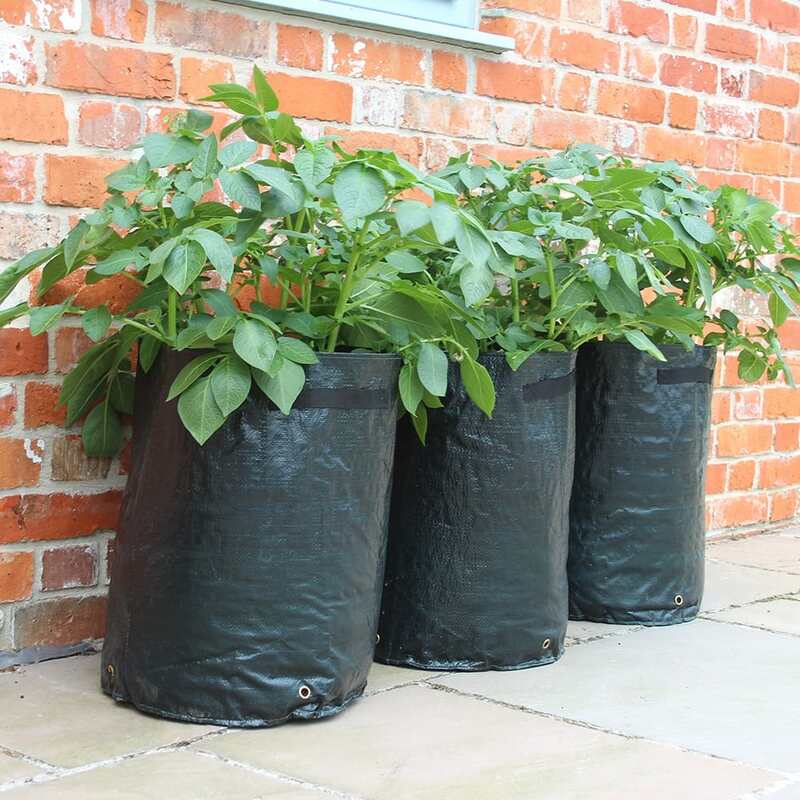 For each Planter you will need 40 litres of good general purpose compost. Pour approximately 4cm (1.5in) into the bottom. Nest your seed potatoes in the compost, with the shoots or eyes facing upwards and cover them with a further 6cm (2.5in) of compost. 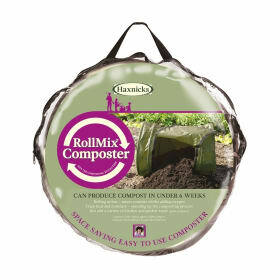 Keep the compost slightly damp but do not over-water and feed weekly with a high potash / low nitrogen soluble plant food. If there is danger of frost, cover with fleece until it has passed. When the shoots have grown 7cm (3in) high, add another layer of compost that covers the tips of the shoots by a couple of centimetres. As the shoots grow, continue to cover them until the compost and shoots are 3cm (1in) from the top of the planter. 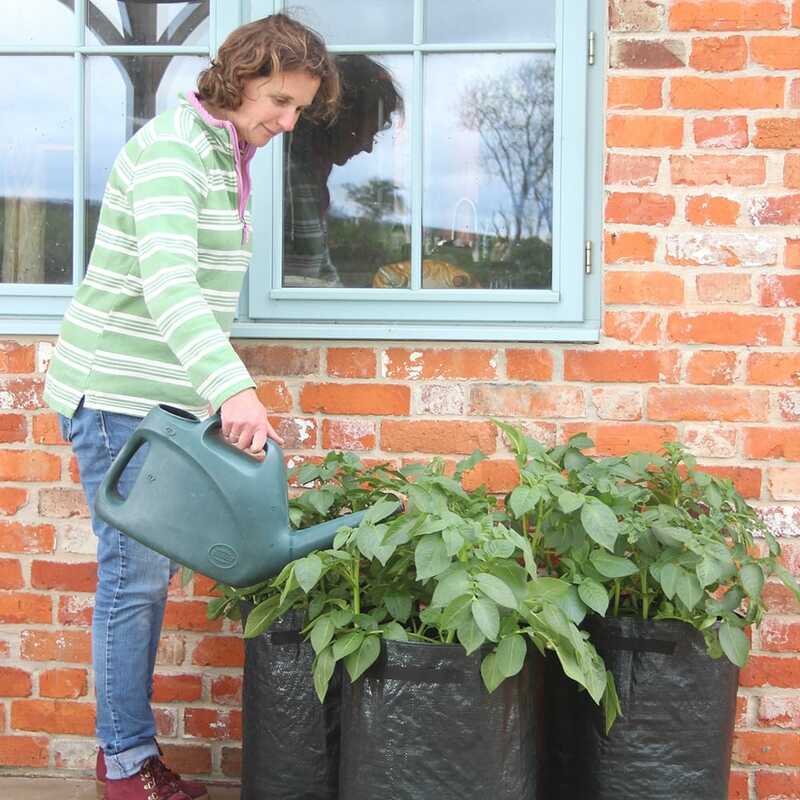 Leave the plant to grow, watering when necessary to keep the compost damp, but not soaked. The plant will produce small flowers – once these flowers have died off, your potatoes will be ready to harvest. Simply dig down into the planter to see if your potatoes are ready. 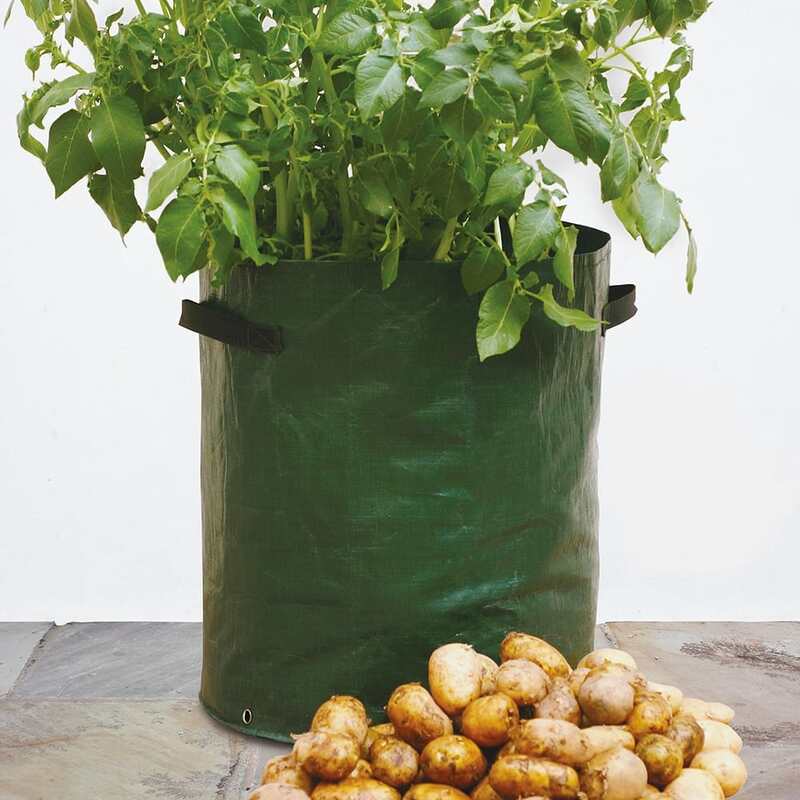 Remove a few potatoes at a time or tip the planter out to reveal a bumper harvest. Now you can enjoy the real taste of home-grown spuds!